College means some of the best years of your life for acing your gains. Take a cue from the Golden Age of bodybuilding and follow this course to build maximum muscle! Young men often claim that they want to experience what it was like to train at Venice Beach in the '70s, back when bodybuilders like Arnold seemed to have nothing to do but train, eat, and hang around. The funny thing is, many young people these days have that same opportunity—or as close as any of us will get to it—and they waste it: It's called college! This is even truer of the first few semesters, when class loads are lightest and hormone levels are highest. Your freshman and sophomore years may be the last time in your life when you'll have the time and resources to train, focus on diet, and recover from workouts like the pros. At the same time, however, college opens up doors, windows, and car trunks to all sorts of untold debauchery that can derail fitness goals and leave you round in all the wrong places. The choice is up to you. If you need an example of how to do it right, look no further than how Arnold Schwarzenegger became the greatest bodybuilder in the world! Access to free weights, such as at a student rec center. A meal card with adequate or unlimited access. A dark, quiet place to sleep. The more cave-like, the better. Your personal Franco Columbu: a partner in crime to train, chow, and rampage with. "Eat big to get big." You've heard it, you've said it, and up until now your parents have paid the price for it. Now the responsibility is on your shoulders. Will your "freshman 15" be of the lean variety, or will those pounds bulge out the bottom of your university logo T-short? Schools' meal plans and cafeterias have come a long way. At many institutions, it's a flat fee for all you can eat. This can be disastrous for the undisciplined, but if you're able to control what you put in your mouth, it's a godsend. 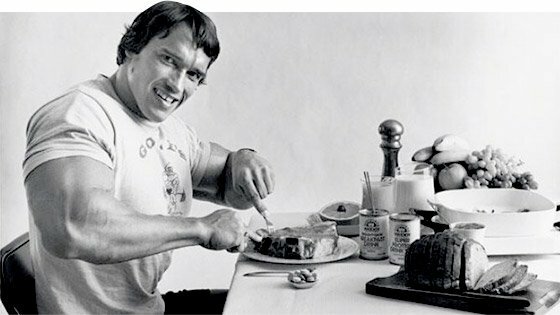 If you are fortunate enough to have access to dining hall food, take full advantage and eat, eat, eat, just like when Arnold and his Gold's cronies terrorized Santa Monica's buffets. "[We] would start with five, six, or seven eggs, after which we [would] go to the next station and eat all the tomatoes and vegetables," he writes in his autobiography, "Total Recall." "Then we would have the steak, and then the fish." If the number of meals you have access to is limited to only breakfast, lunch, and dinner, make it a point to consume large quantities of food during this time. Aim for two servings of protein and vegetables, one serving of starchy carbs, and one serving of fruit at each meal. My only warning would be to allow at least three hours to digest that much food before a hard workout. "If you are fortunate enough to have access to dining hall food, take full advantage and eat, eat, eat, just like when Arnold and his Gold's cronies terrorized Santa Monica's buffets." You don't have to be exact with your macros. What's more important is getting your calories from nutritious foods, not merely binging on pizza, burgers, and fries. If you can doggy-bag anything from the dining hall, take things like fruit, cereal bars, and hard-boiled eggs. The following breakdown is for a male between 5-foot-10 and 6-foot-2, and around 175-195 pounds. Use it as your starting point. Snack: 7:30 p.m. & 9:30 p.m. Depending on your workload, aim to train 4-6 days per week for 1-2 hours per day. Your goal is to hit major muscle groups—legs, back, chest, shoulders—twice per week. That's the method Arnold used to transform himself from pudgy powerlifter into the lord of the bodybuilding universe. It's also the backbone of his Blueprint 8-week muscle-building program. Some might call this much lifting a recipe for overtraining, but if you keep up on your eating and sleeping, you'll thrive. Remember that this type of training opportunity may only come around once before you become a full-fledged adult with a job, family, and not nearly the same level of natural anabolic potential you have right now. To build both strength and muscle, you'll need to mix low-rep, low-volume work with high-rep, high-volume work. You can start a workout with one and end with the other. If you follow a program like the Blueprint, you'll do a low-rep workout one day and a high-rep day for the same muscles later in the week. In either case, always start your day with a compound movement like the bench press, squat, deadlift, or shoulder press, and give your full effort in each and every training session. "Always start your day with a compound movement like the bench press, squat, deadlift, or shoulder press, and give your full effort in each and every training session." Here's where things get difficult. All around you, people will be pulling all-nighters: some for work, others for play. Resist the urge to copy them! With so much training, you'll need to get adequate downtime or you'll find yourself crashing quickly. Hopefully, you'll spend the majority of your non-training, non-eating time either in class or studying, both of which are great ways to rest between workouts. You've got enough time to get everything done and sleep. Aim for at least 7-8 hours of sleep a night, and take one full rest day per week. Going out once in a while or losing out on sleep out of necessity isn't a disaster, but it shouldn't happen often. Over the long-term, both gym performance and the quality of your work will reflect the choices you make here. Creatine: It's cheap, and it's been proven time and again to be effective for helping athletes add mass and build strength. This is a no-brainer. Mass Gainer: College is probably the best time in your life to consume a mass gainer, particularly if you don't have access to an unlimited meal plan. A gainer is an incredibly efficient source of extra calories—particularly if you mix it with milk. Your raging metabolism can handle it, and you'll appreciate the carbs during those long workouts. Whey Protein: If you use a gainer, this may not be necessary, and vice versa. But in one form or another, protein is a must-add element of your daily snack sessions. A well-made powder is especially crucial for students who don't have the budget to regularly get high-quality protein in their diet. Multivitamin: This is always a good idea, especially if you're depleting yourself six days a week with epic training sessions. If you're a Schwarzenegger scholar in addition to your other disciplines, you're probably already thinking, "But Arnold drank! He mixed whiskey in his protein shakes!" Sure, Arnold and the boys knew how to play once work was done. But they also knew to draw the line firmly when partying began to negatively impact the quality of their training. Have no doubt: Alcohol directly inhibits the muscle-building process, not to mention the way chronic abuse leads you to adopt catabolic habits such as eating and sleeping like crap. "Have no doubt: Alcohol directly inhibits the muscle-building process, not to mention the way chronic abuse leads you to adopt catabolic habits such as eating and sleeping like crap." I don't expect you to take my word for it, so learn this lesson the hard way if you must. Going out Thursday, Friday, and Saturday past 2 a.m. simply isn't going to allow you to train hard the next day. Soon you'll be missing entire workouts because you're hung over, and all that food you're slamming will start piling up everywhere but your muscles. Need a rule to guide you? 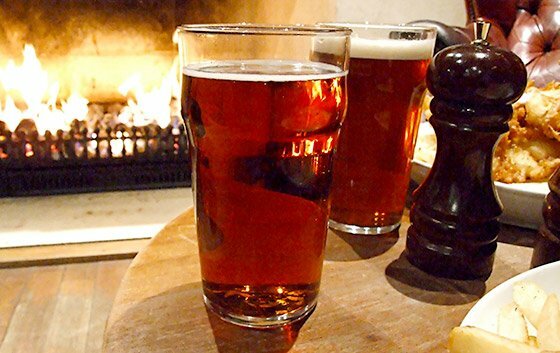 If you're going to drink, make it a point to consume a maximum of two drinks. If you feel compelled to go crazy once a month or so, draw the line at four. Nothing good happens beyond those thresholds. If you're able to resist temptation and follow the guidelines I've laid out, you'll be headed to Gainsville so fast people will think you're transferring to the University of Florida. That said, I hope you're not just spending your time lifting, eating, and laying around at college. Otherwise, this is basically the most expensive gym membership of your life, which would be a shame. You should be working hard to learn and improve yourself, too. While destroying his competition in the 1970s, young Arnold was also taking English classes and working toward a degree, publishing mail-order booklets out of his apartment, giving seminars at Gold's and other gyms, and starting other money-making projects with Franco Columbu and his other friends. He knew he was still at the beginning of his journey, and he wasn't going to let any short-term pleasures keep him from getting what he deserved. Train yourself to succeed—both in work and in self-improvement—at college, and you'll be honing skills that are more valuable than anything you learn in any class. Dream big and get big! 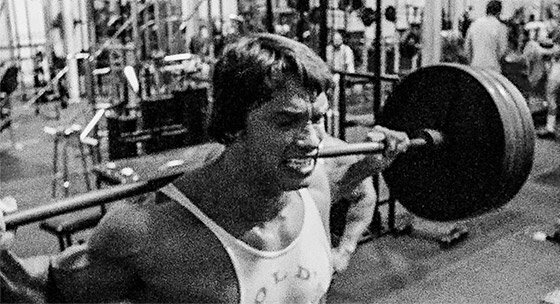 Basic exercises, heavy weights, high volume, and high frequency are the techniques Arnold Schwarzenegger used to build his massive chest and back. Try the workout! Arnold didn't become the world's greatest bodybuilder by accident. Here are the 8 training principles that underlie his bodybuilding success.